Qualcomm Toq Smartwatch – Available from the 2nd of December! Well, well, well, isn’t this exciting news! Qualcomm Toq, the world’s only smartwatch to boast a coloured e-ink display will finally be on sale to the general public from the 2nd of December. It will cost you $349.99, and we wouldn’t be surprised if it mostly focused towards the USA market, but hey, it is a start. 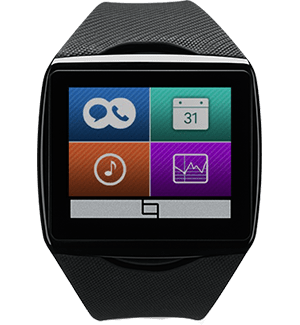 Just to refresh your memory, as Samsung announced the Galaxy Gear, Qualcomm – the maker of almost all processors you find in high end Android smartphones, announced their own version of the smartwatch, showcasing their own developed coloured e-ink display. What does that mean? It means you can finally have a coloured Kindle on your wrist. No, seriously! It also means that you will have a coloured display, on your wrist, which is always on. Pretty neat, huh! Next story Minx TV – giving your TV back its voice!